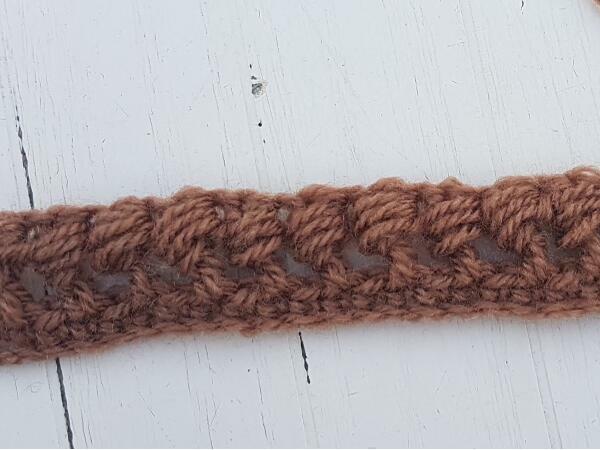 The bead stitch gives a wonderful texture and unique look to your projects and is easy enough for anyone to give it a try. Scroll down for the illustrated tutorial and at the bottom you will find the video tutorial as well. 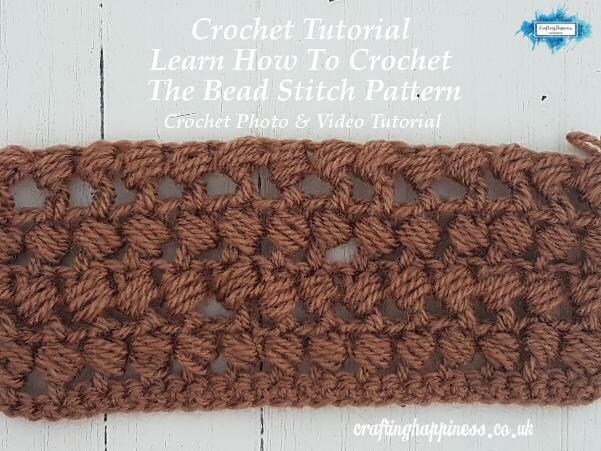 In this tutorial I will show you step by step how to create the bead stitch with detailed photos and explanation and a video at the end for those who find it easier to learn by watching how is it done. 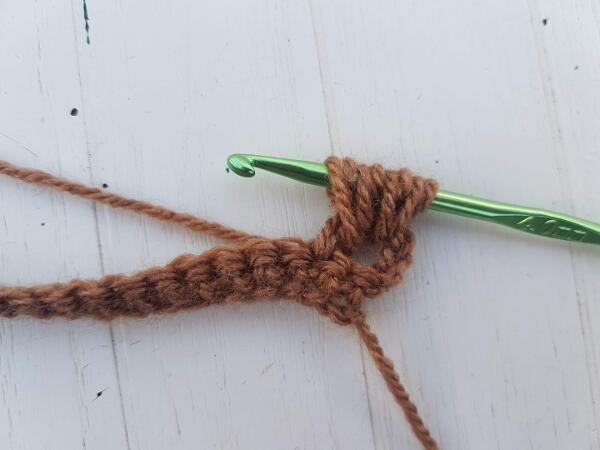 The Bead Stitch can be used as an accent stitch like I did on the 3in1 Rainbow Unicorn Baby Blanket or Maria The Unicorn Lovey, or you can make your entire project with it, either way it will look unique and beautiful. 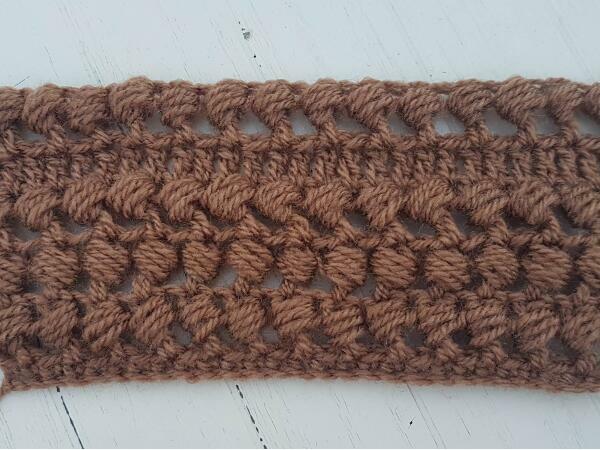 Looking for similar textured stitches? 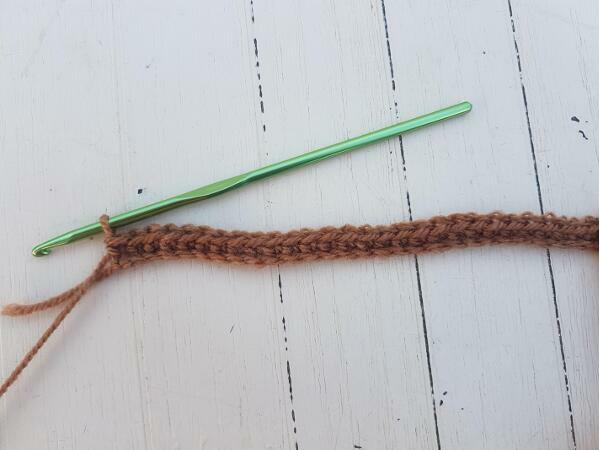 The bead stitch is suitable for a wide rage of projects. Unfortunately MarrinerYarns is only found in the UK, so for my international customers, I can recommend a similar yarn, Red Heart Yarn , which comes is a multitude of colors and weights, just as affordable and easy to work with as Marriner Yarns. 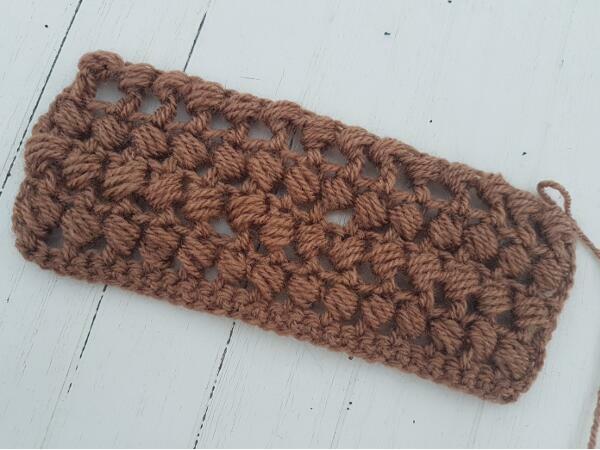 The bead stitch is crocheted around a double crochet post. 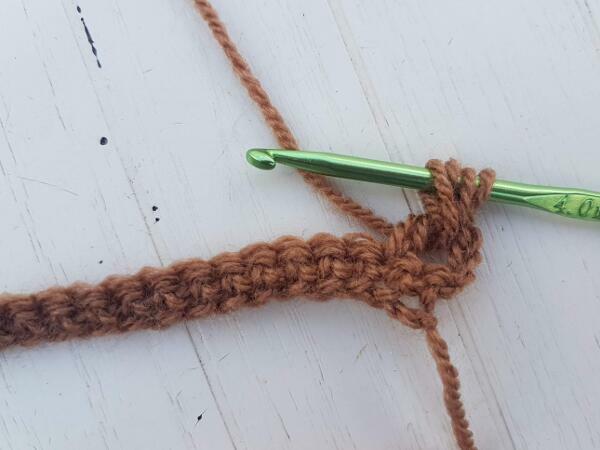 The double crochet stitch is crocheted first, then the loops are created around it. 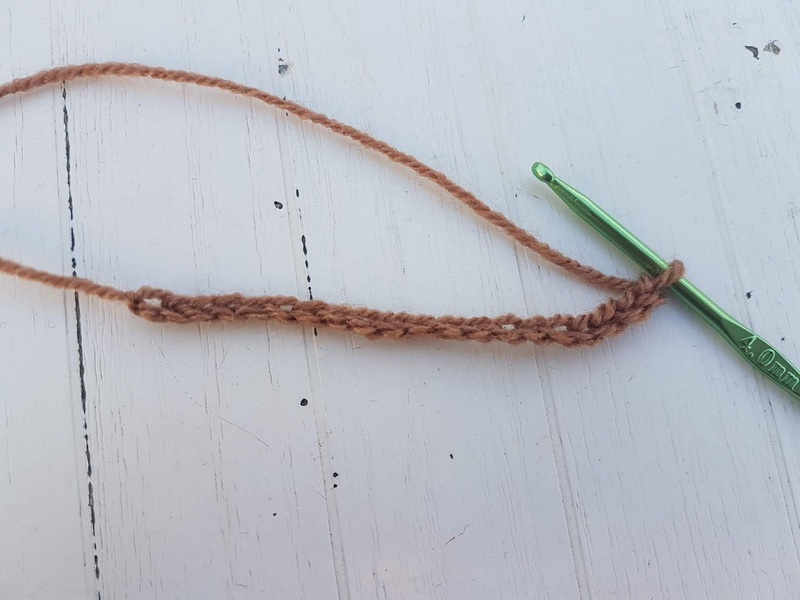 Each completed bead stitch will take the space of 2 stitches (1 stitch for the dc and one stitch for when you close the loops), so you will have to skip a stitch then start making the next bead stitch. You can alternate rows of bead stitches with rows of different stitches (usually single crochet, half double crochet or double crochet stitches), or you can just create consecutive rows of bead stitches , it's all up to you and the design you want for your project. 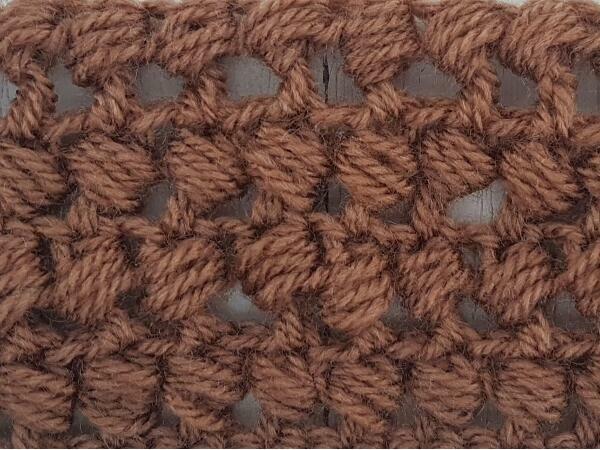 Note: if you choose to do consecutive rows of bead stitches, they will face in different directions. 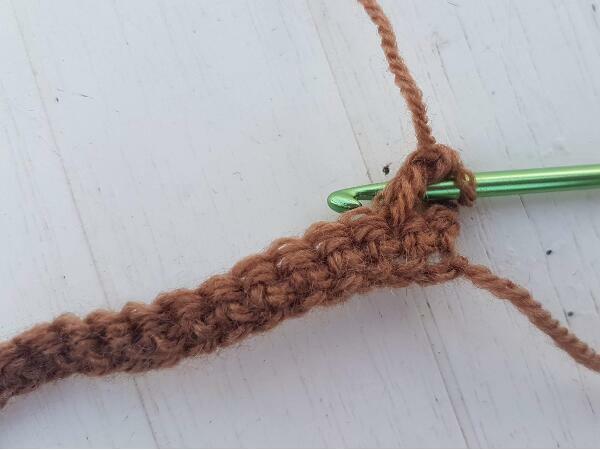 When made, the bead stitch will face left, so your first row will have left facing bead stitches. The second row (viewed from the right side) will have right facing bead stitches. 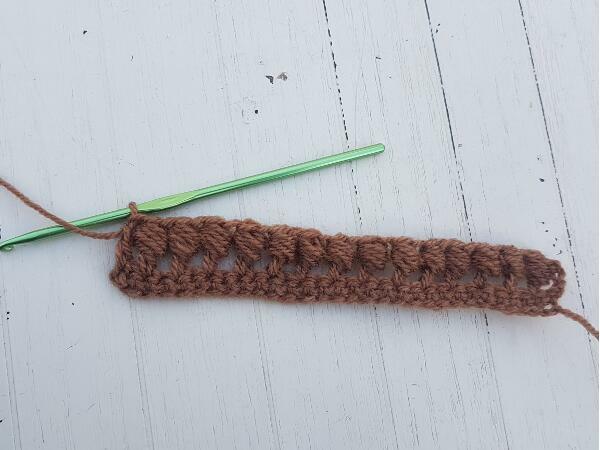 You can start making the bead stitch right from the first row, but it's advisable to make a base row first to give shape to your project first. 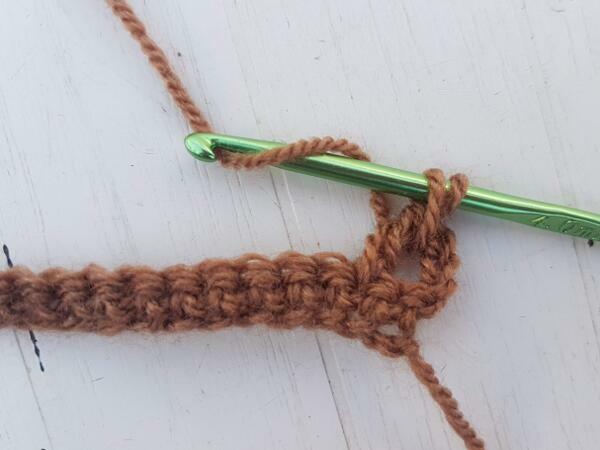 I chose to make a single crochet row first. Sc in 3rd ch and across (you should have 30 stitches). 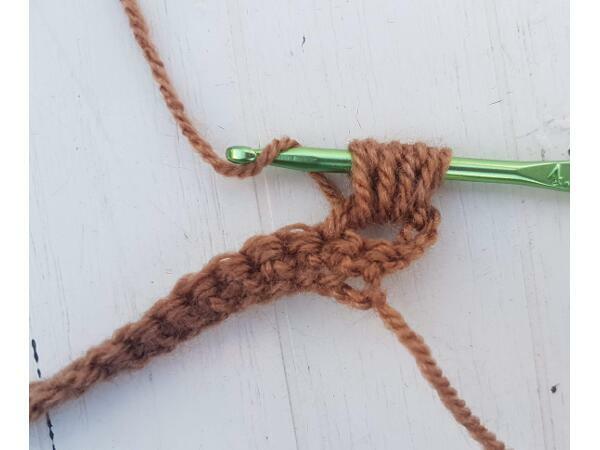 Making the actual bead stitch. 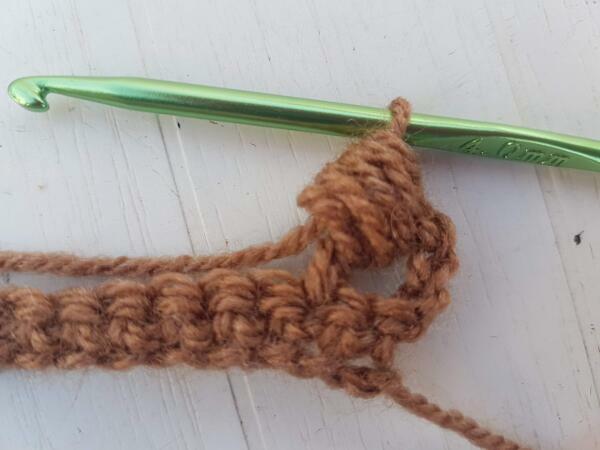 Start by making a double crochet stitch. 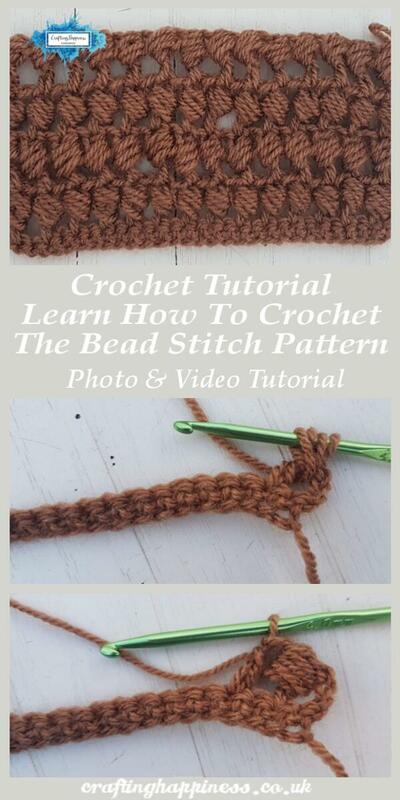 The bead stitch is crocheted around the double crochet post you just made. 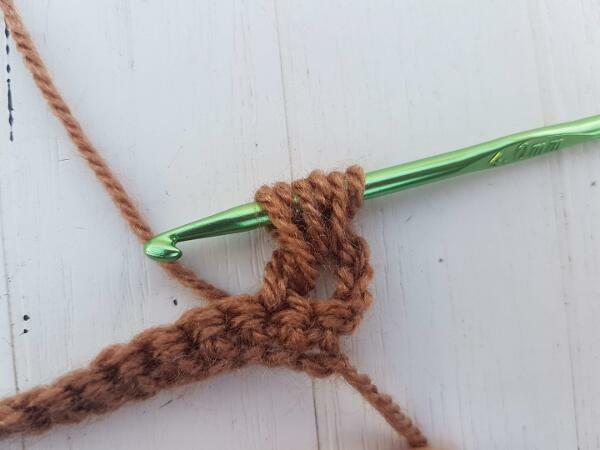 insert the hook again behind the same dc and pull a final loop (8 loops on hook), yo and pull through all 8 loops. Se below the photo tutorial. 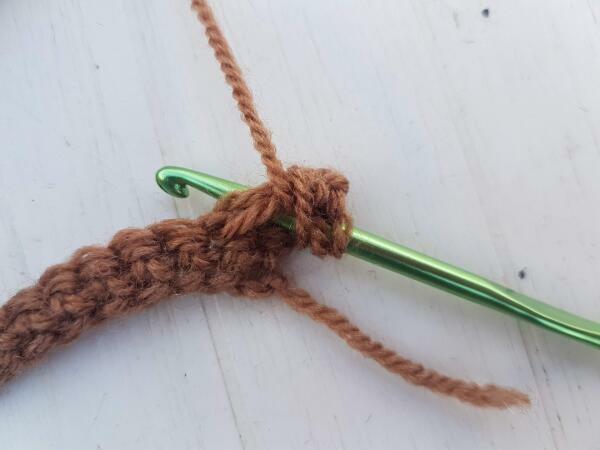 Insert hook behind the previous dc from front to back, pull through a long loop (2 loops on hook). Yo (3 loops on hook) and insert the hook again behind the same dc from front to back and pull another loop (4 loops on hook). Yo and pull through all 8 loops. 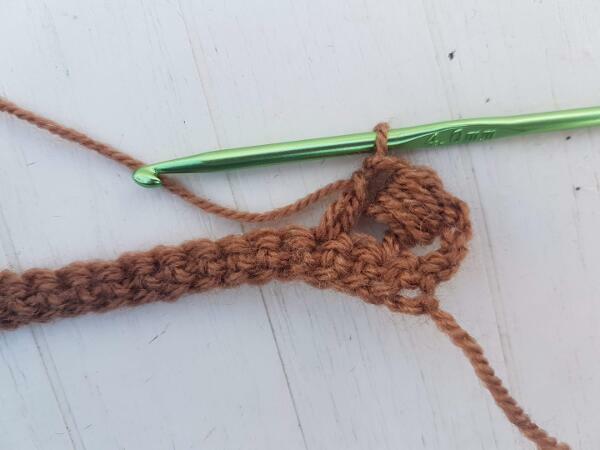 When you reach the last two stitches, sk1, dc in last stitch. 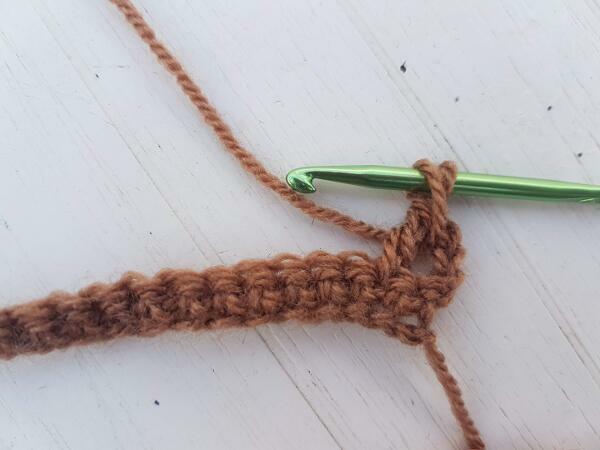 Depending on your pattern, you might choose to do alternate rows of double crochet stitches (optional they can be half double crochet or double crochet stitches) and bead stitches (in this case repeat steps 2-5), or you might want to make consecutive rows of bead stitches only (in this case repeat steps 3-5). Below picture shows you how both options look like. 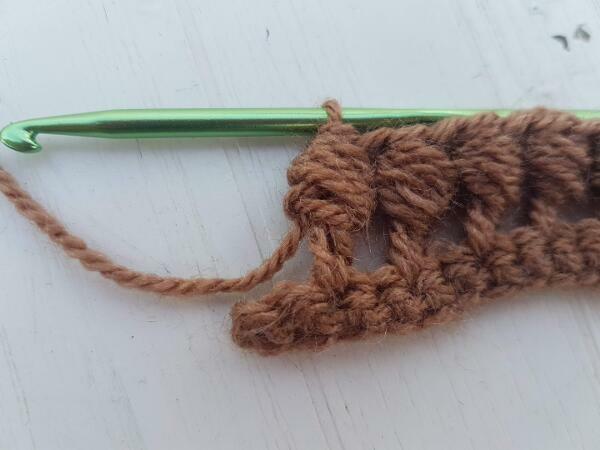 I made a row of half double crochet stitches for variety. 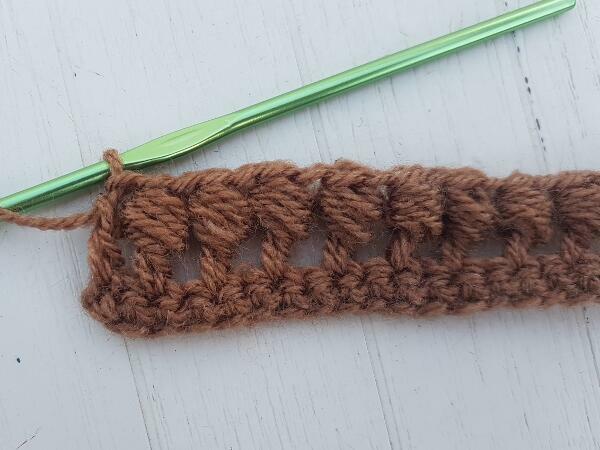 To keep the shape and overall look of your project, finish with the same row of stitches as your base row, in this case with a row of single crochet stitches. This step is optional and if doesn't suit your project, you don't have to do it, it's all up to you, it's just a thing I always do on my projects. For those who learn better from watching videos, I've made a video tutorial to show you how to crochet the beautiful bead stitch. Don't forget to follow my Youtube Channel for more tutorials like this one. I hope you find my tutorial easy to follow, don't forget to follow me on social media (links in the side bar) for more free tutorials. 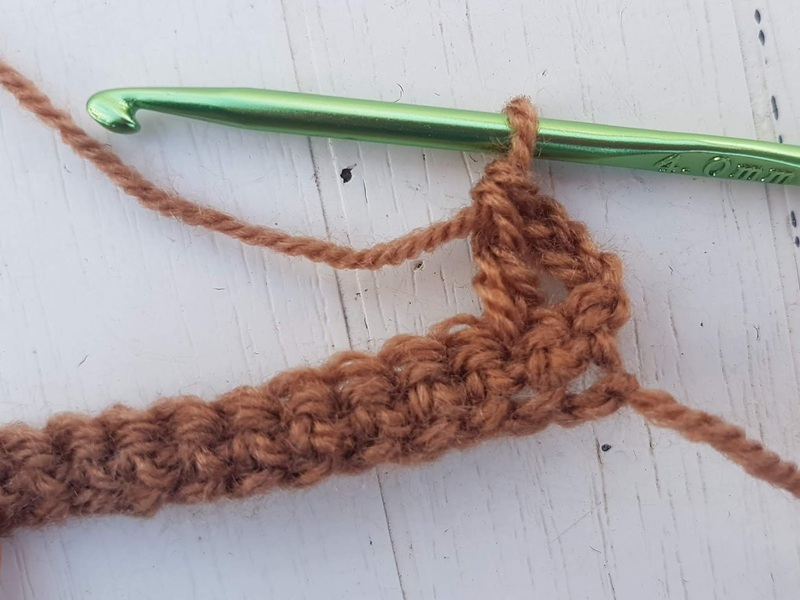 And, as you might know by now, all my premium crochet patterns are free for the first 3 days only from release, so don't forget to follow my Facebook Page to be notified when the patterns are posted so you won't miss out.